I follow Randy Newberg religiously. He has all his older episodes of "Fresh Tracks" and "On your own Adventures" on Youtube, and the they're always good for a watch. I also really like his Podcast. Same goes for Rinella and the Meateater crew. Show and podcast are both great. I saw it mentioned here as well, but Jim Shockey's "Uncharted" is a pretty fascinating look at some of the dynamics surrounding hunting in far off places in the world that most of us will likely never set foot in. I think the thing I like most about the 3 hosts I mentioned is that they are all great ambassadors for hunting in different ways. Part of the joy in the experience comes from the effort for me, and when successful, a bit of suffering. I'm not overly concerned(at all) with the size of the deer, it's more about the experience and the adventure of it with a possibility of success. The meat is the most important thing to me overall, but it just seems that the mountains are hard to beat as far as the richness of the experience And you are very much correct about more vegetation in NY. 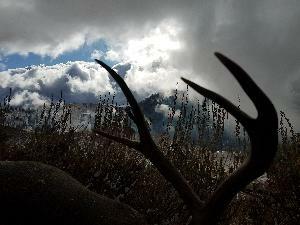 Attached is a picture from our backcountry deer camp in Utah this year. You can see and glass animals for miles. There are some thick stands of Aspens and Pines, but nothing like the thick forest out here. I'll most definitely have to figure out different tactics to be successful in the big woods and mountains out here. I just moved to NY from Utah. In Utah we hunted exclusively on public land and predominantly hunted in the backcountry anywhere from 2-8 miles from the truck. 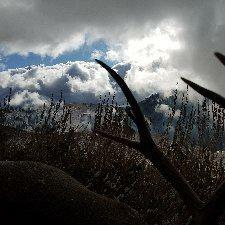 We spent the opening week of Utah Archery deer and elk season at 9k feet camped 6.5 miles from the truck. I'm interested in spending some time in the Adirondacks next summer and leading up to hunting season in the fall. I'm fully comfortable quartering and packing an animal out solo a long ways away from the vehicle as well as being prepared and willing to deal with potentially adverse weather conditions. 2 years ago, we got a foot of snow at 10,500 feet at deer camp in August. Sounds like the areas closer to the towns get hit hard, but with a little walking, the solitude I am used to can be found. Trying to glean as much information as possible from those with experience. I feel like I have to re-learn everything about hunting being out here now. We spent countless hours behind the glass to find animals that were in a position to put a stalk on. From my limited knowledge about the terrain out here, seems that glassing isn't a viable strategy due to the dense forest. For elk, we did spend a lot of time calling or still-hunting through the tall pines. Is the terrain in the Adirondacks conducive to still-hunting, or is it mostly sitting on corridors? Starting from scratch should be fun, but looking forward to exploring the mountains here. Thanks for the tip and the welcome. I've actually been hiking/jogging over at Powder Mills Park 4 or 5 times a week since I got here to get my fix of being outside. Have thought that creek looks awfully enticing! Thanks for the welcome! I'm excited about the change of scenery and learning how to adapt to new species/hunting styles. I'll have to get used to sitting in a tree instead of spot and stalk hunting the big open country out west. Pretty excited about all the opportunity to hunt and fish out here. I knew it was much different than what most envision when they hear "New York," and I'm grateful for that. Just wanted to hop on and introduce myself. I'm 32 years old and work remotely for a small sales company in Utah. Just moved to Victor, from Utah with my wife and 5 year old son. My wife is attending grad school in Rochester and is from the area originally. I grew up in Utah fly-fishing the small rivers and streams for trout, and hunting ducks, grouse, pheasants, and chukar whenever I had a spare second. Also, I love to chase Turkeys(We have Rio Grandes) in the mountains every spring. I picked up a bow about 5 years ago and have spent every possible second during the fall in the mountains chasing Mule Deer and Elk, with a few trips to Wyoming to hunt Pronghorn as well. Have been fortunate to harvest a few cow elk over the past few years, and was fortunate to harvest a muley doe with my bow this year before moving out here in addition to helping my good friend harvest his first deer with a bow(it was a dandy buck). As far as big game hunting is concerned I'm a relative novice, but it is one of the things I am most passionate about. If anyone is headed out west for any hunts next fall and have any questions, I can't promise I have all the answers, but I am more than happy to share what I know. Between getting settled and work obligations, I don't anticipate that I'll be doing any hunting this year, but look forward to chasing turkeys in the spring and spending some time in the woods and learning all I can about Whitetails before next fall rolls around. Excited for this new chapter, and as sad as I was to leave the mountains and elk behind, am really looking forward to hunting here and enjoying what your state has to offer.